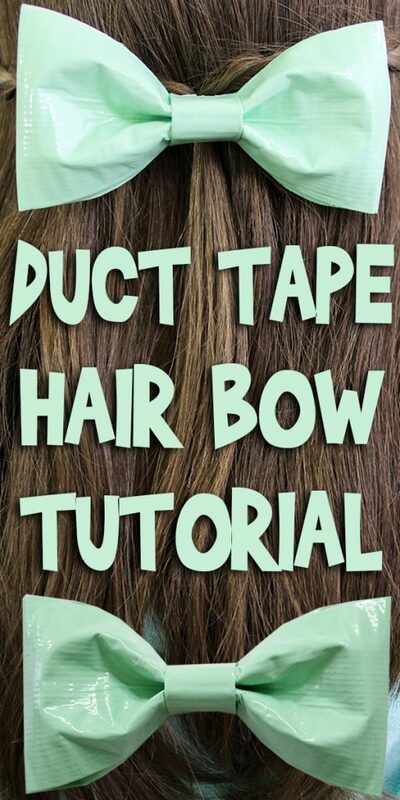 Today I’m sharing this Duct Tape Hair Bow Tutorial! 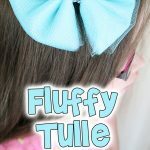 These bows are pretty, durable, and waterproof too! Let’s get started. Hair Clip. I find mine in a large box at beauty supply stores. 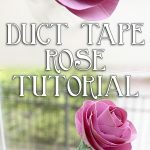 Start by cutting a strip of duct tape about 18 inches long. 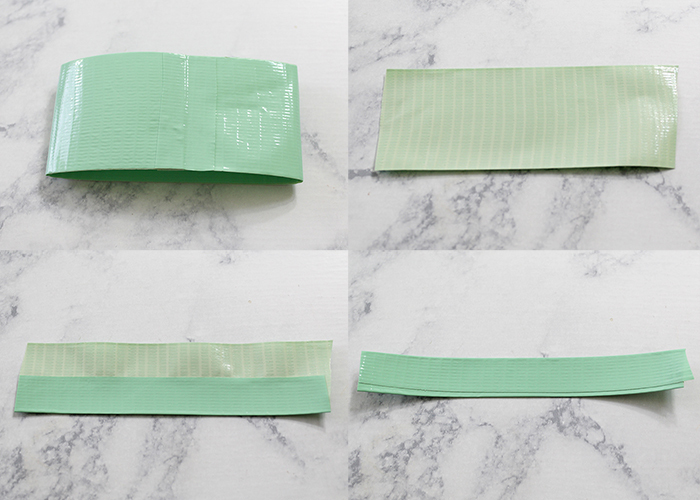 Fold it in half on itself, so that no sticky is showing. You have a solid ribbon of tape now. 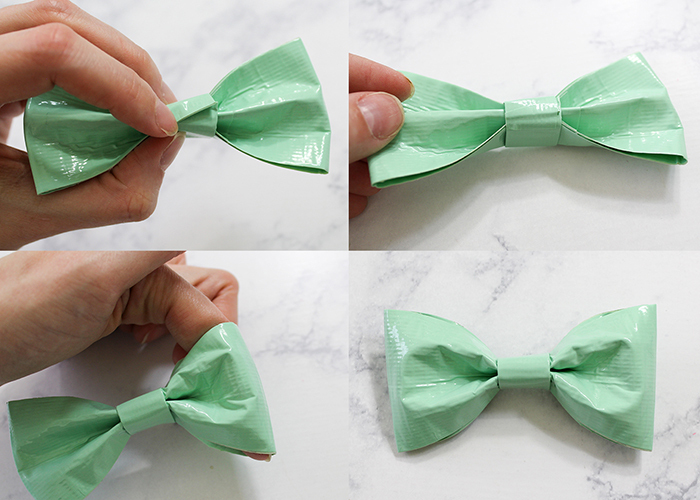 Fold the two ends together, overlapping by about a half inch. 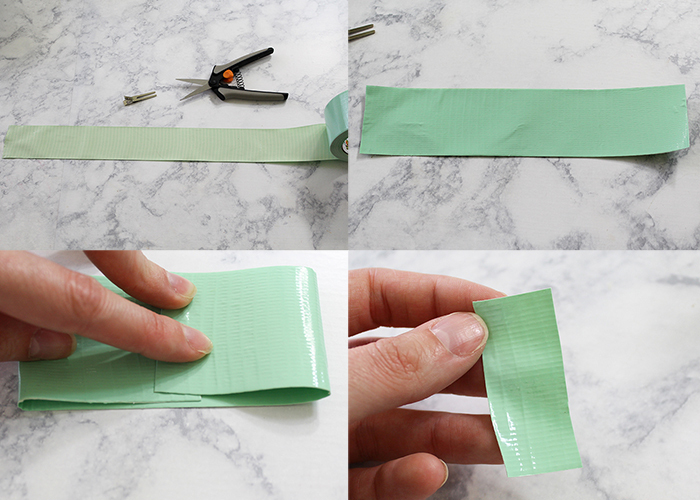 Cut a small piece of tape, and secure the two ends together, creating a loop. This loop is the main piece of your bow, so set it aside for now. Next, cut a piece of tape about 4 inches long. Set it horizontally with the sticky side up, and fold up the bottom third. Now fold down the top third. 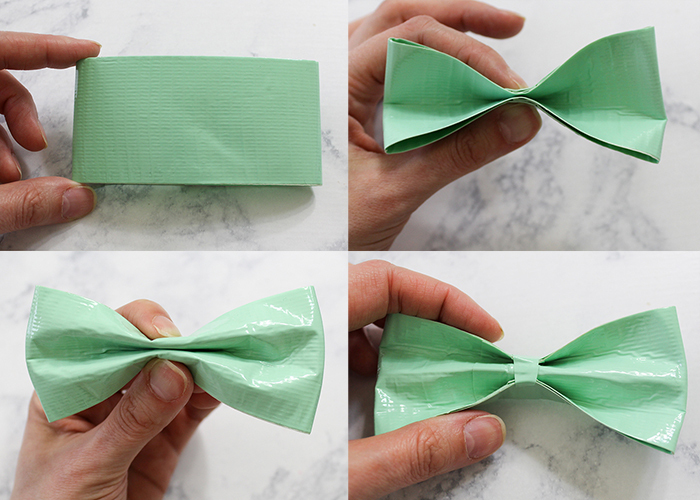 This creates a ribbon of tape that will create the center of your bow. Set this center piece aside. Pick up your large loop piece we made earlier, and turn it so where the ends join is at the back. Pinch the middle together, with both sides folding upwards like shown. 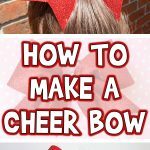 Then take those two sides and fold them back down to create the center of your bow. You should have one fold in on the front of the bow, and two folds in on the back. 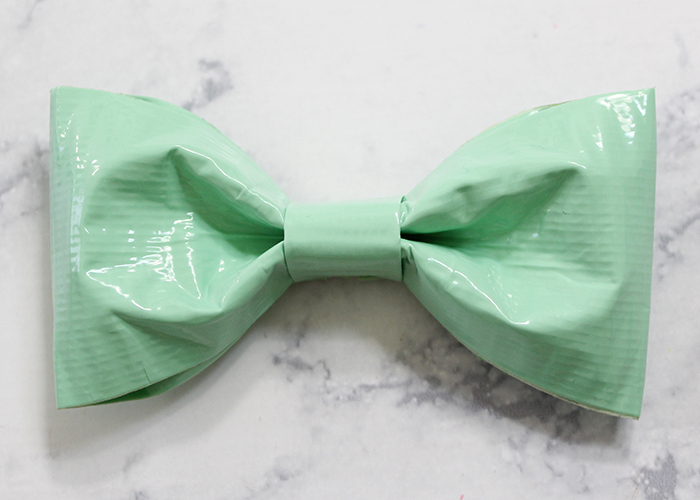 Take a small piece of tape and secure the ends on the back of the bow. This helps make the next step easier. Pick up the center piece we made earlier, and wrap it around the center of the bow. 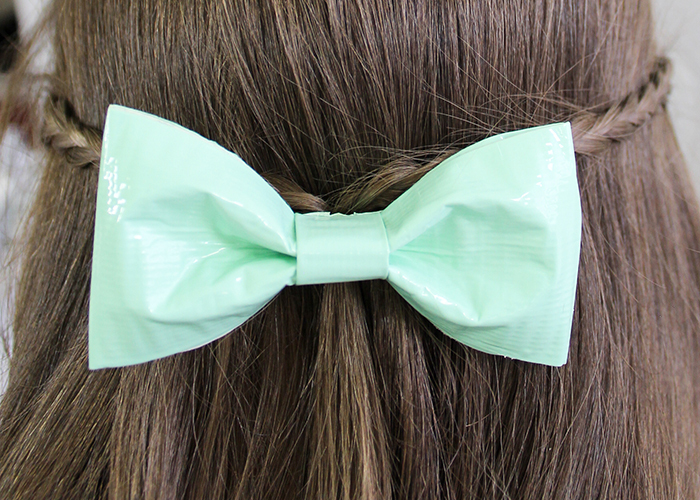 Trim it so the ends just overlap, and the ends should be at the back of the bow. Use a small piece of tape to secure them closed. Next, use your finger or a pencil to fluff out the end loops of your box to make it look puffy and cute. 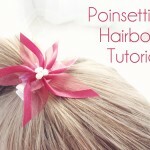 Now take your hair clip, and slide it into the back of the bow through the center loop. 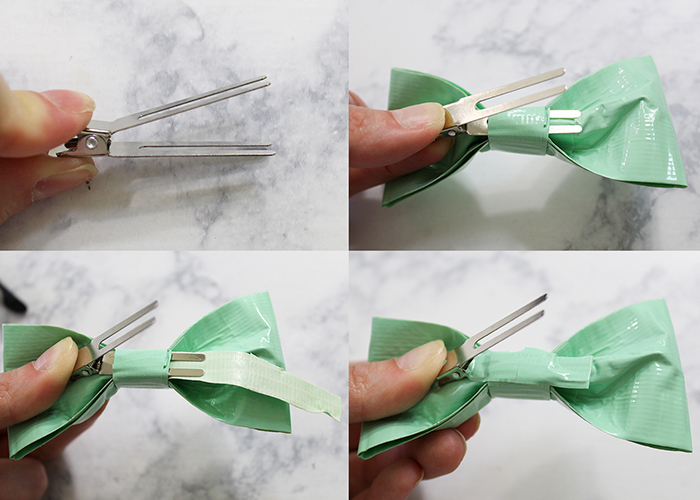 Take a long, thin piece of tape, and place it under the end prongs of the clip. Wrap it up and over the bottom of the clip to hold it in place, and press everything together. 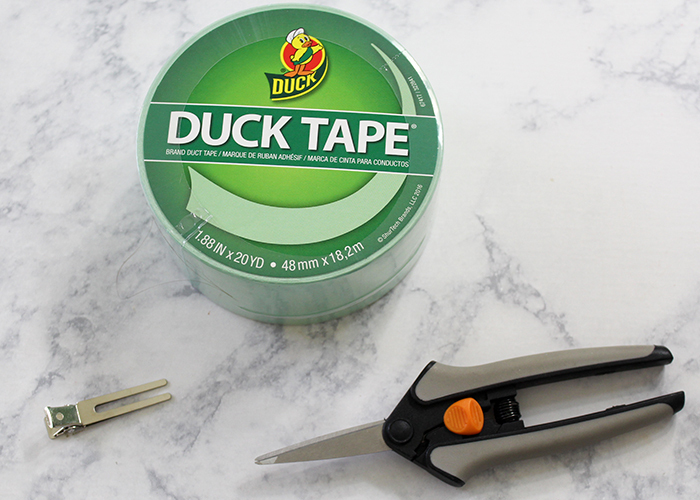 Trim any sticky bits on the edges. You’re all done!! 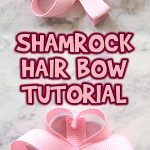 These bows are very budget friendly, water proof, and great for those kids who want to wear bows all the time. You can even attach these to a headband the same way! 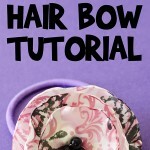 I hope you enjoyed this Duct Tape Hair Bow Tutorial! !